Part of Abstract Expressionism Public Programs. 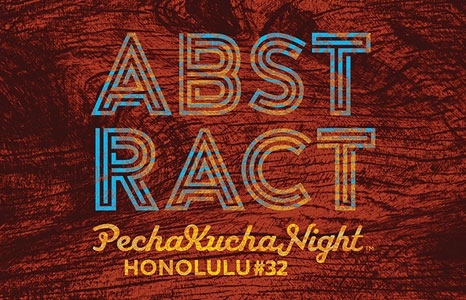 PechaKucha 20x20 is a fast-paced presentation format in which speakers show 20 images, each for 20 seconds. The images advance automatically as the speaker talks along, connecting them to the theme. This quarter our speakers take on the theme of abstract. Parking: Guests can park at the Honolulu Museum of Art School parking lot, at 1111 Victoria Street, with entrances on Beretania and Young Streets. It is $5 for 5 hours of parking. Street parking is available but limited.